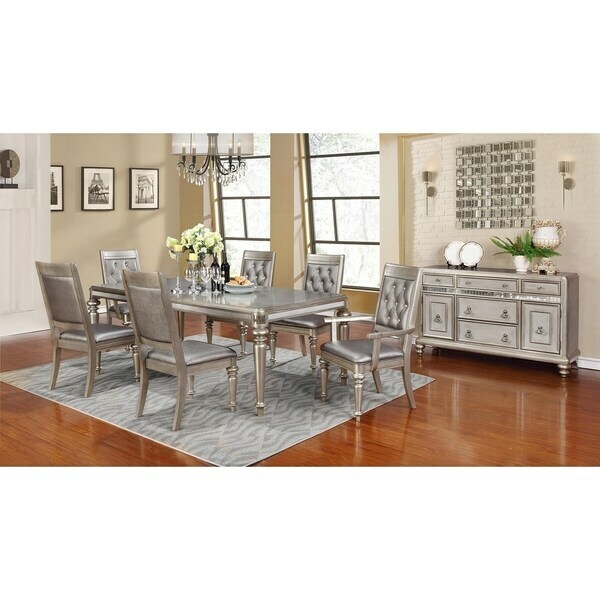 Bring luxury to the forefront of dining with this ornate metallic dining table. The platinum finish accentuates the traditional details of the turned legs, perfect for the formal dining room. Dimensions 85.5 In. X 43.5 In. X 30.0 In.